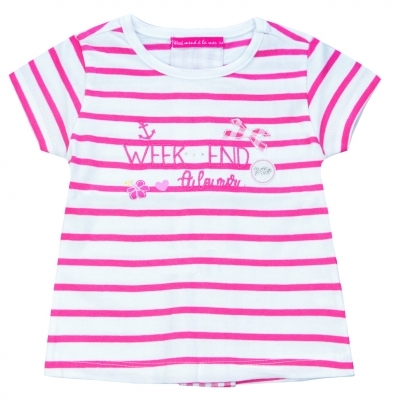 Pink-striped white t-shirt, with short sleeves, for girl. We note its Week-end à la Mer inscription on the front, enhanced by girly patterns made in patchs and embroideries. But the particularity of this t-shirt, it is its pink gingham box pleat that bring an original touch to the model !